Aubra L. Wilson, 89, passed away September 22, 2018. A visitation will be held at Strode Funeral Home on Wednesday, September 26, 2018, from 6:00-7:30 pm. A memorial celebration of his life will take place Friday, October 26, 2018 11:00 am at the First United Methodist Church, Stillwater. As this is OSU Homecoming weekend, guests are asked to wear their orange! Aubra was born March 21, 1929 in Clinton, Oklahoma. His life was dedicated to his faith, his family, his Cowboys and many young people, whose lives he touched. Aubra married the love of his life, Floretta Mintz, July 27, 1951 in Clinton. For 65 years, they were constant side-kicks – if you saw one of them, you knew the other was very close at hand. Their marriage was blessed with two children, Kevin Brent Wilson, who tragically passed away in 1977 and Kimberly Wilson Sadler of Stillwater. He also gained a second son in his son-in-law, Darrell Sadler. Aubra completed his BS in Animal Husbandry from Oklahoma A&M (now OSU) in 1952 and his MS in Rural Adult Education from OSU. After receiving his BS, and with his new wife in tow, Aubra served in the USMC at El Toro Marine Air Base in Santa Ana, California from 1952 to 1954. They loved their time in California with an avocado tree in their front yard and trips to Tijuana and San Diego. They returned to Oklahoma in 1954, where Aubra served as an OSU Extension Agent in Tillman, Beaver and Woodward counties before retiring in 1985. He was active in the Oklahoma Association of County Extension Agents, serving as vice-president and president and received the Distinguished Service Award at the state and national levels. He also chaired the State Fairs and Shows committee and held leadership roles in the Red River Valley Hereford Breeders Association, Oklahoma Panhandle Hereford Breeders Association and Great Plains Angus Association. 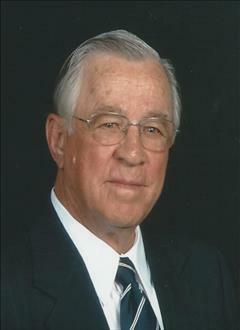 He was an enthusiastic member of the OSU Animal Science Alumni group and served on the US Southwest Range Research Station, OKC Jr. Livestock Show and Tulsa State Fair advisory committees. 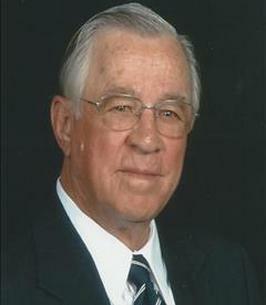 Always active in his community, he was a member/officer in various Rotary Clubs, Chambers of Commerce and Kiwanis Clubs and was a member of the First United Methodist Church and Methodist Men. Aubra and Floretta loved retirement, as it allowed them to move to Stillwater in 1985 and provided access to unlimited OSU sporting events. They built their home together, designed and cared for vast flower and vegetable gardens and shared their bounty with anyone who appreciated a good tomato! In retirement, Aubra loved to share his knowledge in the area of horticulture and served as a consultant for several area cattle operations. He and his wife became avid travelers, with Aubra always at the wheel and Floretta navigating. For nearly five decades, they traveled to Colorado with OSU Extension friends, and many a fish was caught! They also drove to Alaska twice, all parts of Canada, and visited 49 of 50 states. They culminated their travels with a train trip across Canada to celebrate their 60th wedding anniversary. In January 2014, they moved to Primrose Retirement Community in Stillwater, where they were charter residents. They thoroughly enjoyed the friendships formed in their new community and it offered them the opportunity to spend their final years together. He adored his caregivers and provided them plenty of fatherly advice. Aubra is survived by his daughter and son-in-law, Kimberly and Darrell Sadler of Stillwater and numerous nephews, nieces and cousins. He leaves a legacy through many cherished young adult friends who became like family through his mentoring and kind spirit. He was thankful for their frequent visits and got special joy from the lively Metcalf children! Because of these relationships, Aubra and Floretta’s seemingly small family was actually very large! Aubra was predeceased by his beloved wife, Floretta; son, Kevin; parents, Lonnie and Hattie Wilson; three sisters (Lois Gerner, Lorece Heimer, and Jewell Wilson); and three brothers (Vernon, Jack and Ray Wilson). In his memory, donations may be made to the Kevin Wilson Memorial Scholarship through the OSU Foundation or the First United Methodist Church. To send flowers to the family of Aubra Leroy Wilson, please visit our Heartfelt Sympathies Store. We encourage you to share any memorable photos or stories about Aubra. All tributes placed on and purchased through this memorial website will remain on in perpetuity for future generations. Aubra became a treasure to the Holloway family from his years as the county agent in Tillman Co. I came to know him as "Dad's old county agent" and would frequently see him ringside watching the cattle shows in OKC and Tulsa. In fact, I don't ever remember NOT knowing Aubra! He and Floretta would often stop by on one of their visits back to Frederick to visit friends. I always enjoyed crossing paths with him at the Animal Science Alumni events. Please accept our condolences. We know he is now reunited with your mom and brother. We will forever remember Aubra and his humor and the blessing of his life. We do not remember a time when he was not positive and forward looking always thankful for what God had brought into his life. We will really miss him as we miss his precious wife when she was with him. Now they are together forever. God has taken His precious one to Himself and in that we all are comforted.